Star Sudoku consists of 6 larges triangles. The object is to fill all empty triangles so that each large triangle contains numbers 1 through 9. Every line (of length 9, even uncontinuous) contains every digit. Notice that the row on the outer edge includes the cell on the nearest sharp end of the figure. Logic puzzle games including Sudoku, Kakuro. 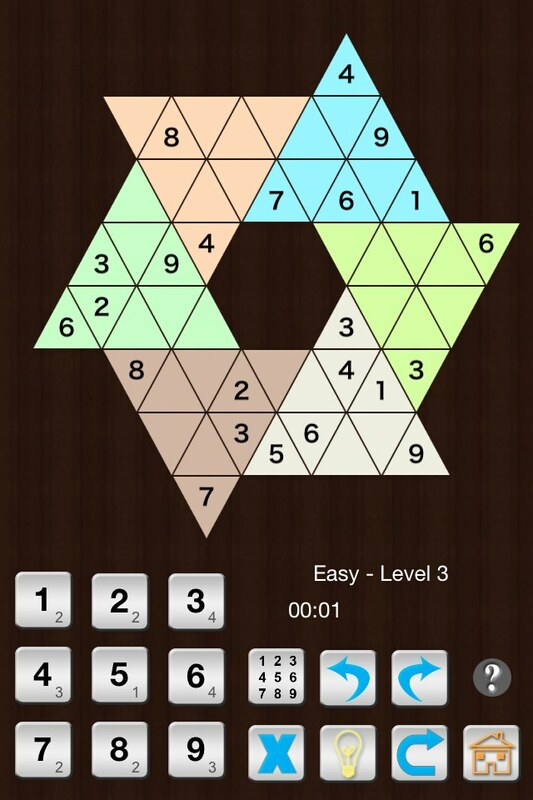 Many variations to popular logic puzzles. Available in iOS and Android devices. Play Now! Copyright © 2012 Stanley Lam. All rights reserved.